Every office and every business has documents and paperwork that needs to be filled, stored and easily found in a moment’s notice. Ofconcepts carries not only business furniture but also filling and storage solutions for business that handle lots of paperwork and needs efficient and reliable storage solutions. With the multitude of storage solutions, Ofconcepts will cater to any need and want and give different types of storage solutions for any business. Trust Ofconcepts to provide the most variety of choices that cannot be matched by other business office furniture retailers. Designed for large scale filing applications in limited space. 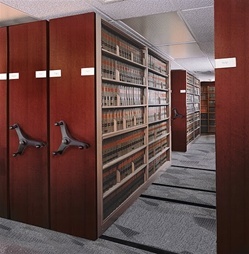 Contact us to help you maximize your filing space with truly state-of-the-art mobile aisle systems. We also carry a series of printer storage carts specially designed for many different makes and models of printers available from a variety of multiple different manufacturers. The mobility and adaptability of the printer storage cart allows anyone to move printers and document machines to areas where they would best be useful. Preparing for the worst and having an insurance policy against any disaster can give any business the ability to bounce back from just about anything. However there is no insurance for destroyed documents and items need for your business to function, therefore having safe and durable fire resistant filling solutions is a must for any business that has sensitive and highly valuable documents. Have the knowledge that your documents and important papers are safe by obtaining the best fireproof safe and filling solutions from Ofconcepts along with your other office furnishings. Have the knowledge and feel secure that everything will be protected in case of a disaster. Ofconcepts will help safeguard your valuable records and documents and give you peace of mind. 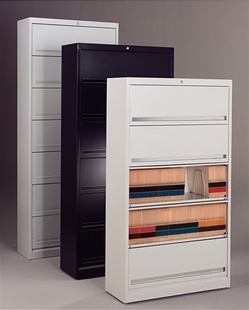 Tough, strong and efficient metal filling cabinets and storage is almost a necessity in any office. These multipurpose, multifaceted cabinets give a no-nonsense and straightforward role in the office as a place to hold and secure all documents. The common and often recognizable metal filling and storage cabinet is not only a stable of every office but also a great item to pick up as part of your office furnishings when shopping at Ofconcepts. Every metal filling cabinet and storage cabinet is exactly what you expect and need from metal cabinets while being at a price you won’t expect. Don't have enough space for a computer desk, try a Laptop Storage Cart. These rolling, small and mobile workstations allows anyone to be productive anywhere they are able use a laptop. The laptop storage cart allows your productivity devices to have a proper and steady area where everyone can work and be comfortable. In tandem with a swivel desk chair the laptop storage cart allows anyone to have a quick and mobile place to conduct business. The movement and delivery of mail to the right people and the right places in a timely matter can greatly not only increase the productivity of your office but avoid mistakes and miscommunication between your office and your outside contacts. Having the appropriate mail room furniture takes precedent even in the electronic age because of the globalization of business and the increase range of business transaction will allow you to sort all your incoming and time sensitive mail to have a place. The correct, simple contemporary office desk for the mailroom will make sure your business will be equipped for everything including transitioning and turning all your paper documents into electronic files. Trust Ofconcepts to make sure that even the often not highlighted mailroom and its business furniture pieces are available at a price not easily beat. Have an unprecedented need to display and organize lots of files, documents and even books in an easily reached yet space friendly place? Need a quick and efficient way to access those documents without exposing and placing those same items in the open? Ofconcepts has the perfect solution for you, a mobile aisle filing that can store a number of items and collapse within itself when not being accessed. Unlike retailers where you can buy office furniture, Ofconcepts carries mobile aisle filling solutions that can accommodate just about every budget and give even small offices new options not readily available in new ways to store important documents.